Black leather exterior with shiny insulated and padded interior. 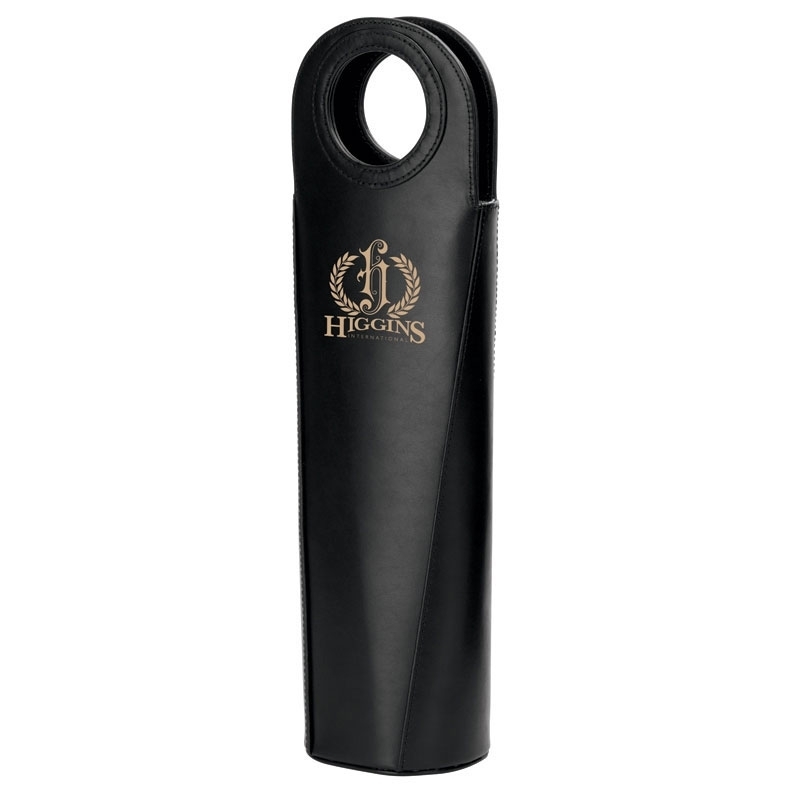 If you truly want to make an impact on your customers from your wine store, then you might want to consider investing in our leather single wine bottle carrier. This product has a black leather exterior, whereas the inside is shiny, insulated and padded. 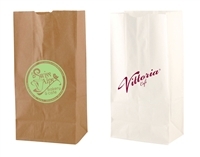 The bag can be printed with your company's name or logo, which will advertise the high quality of your products. 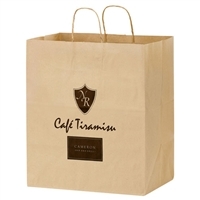 The bag is easy to carry with its two top carry handles and is highly durable, meaning your customers can use it again and again. 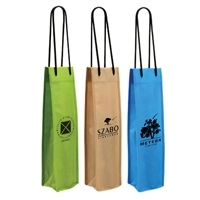 This bag showcases just how exclusive a bottle of wine can be and you may want to consider giving it as a gift to your clientele if they purchase a particular bottle of wine or a certain number of bottles of wine. 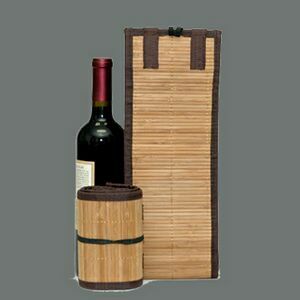 Good quality wine is expensive and sophisticated and this is simply not shown by the bottles in which it is presented. You cannot see the difference between a $150 bottle of Trimbach Riesling, and a $5 bottle of standard Riesling dessert wine. Only in the taste will you be able to discover just why there is such a huge price difference between the two. 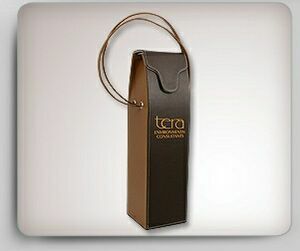 This can be really problematic if someone intended to give the bottle of wine as a gift. After all, they will want to demonstrate that they purchased an exclusive wine, and not something from 7/11 in the corner. 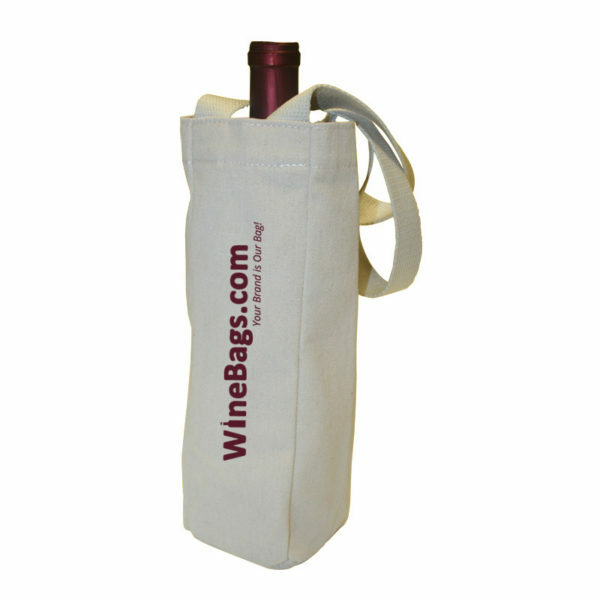 With the leather single wine bottle carrier, this can instantly be achieved as the bag truly represents the exclusive nature of good quality wine.